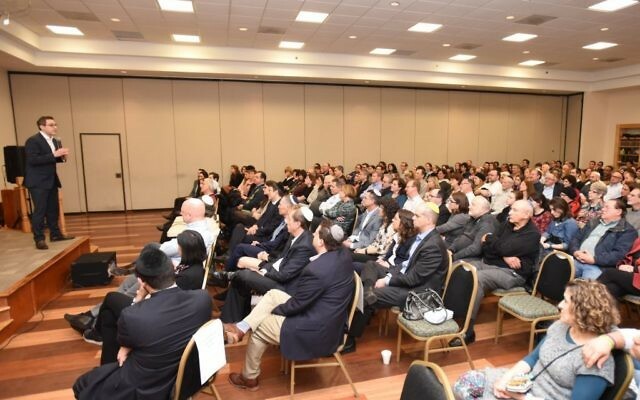 Photo by Netanel Friedman More than 250 people pack into Congregation Ariel to hear Charlie Harary on Jan. 23. What is success from a Jewish perspective? 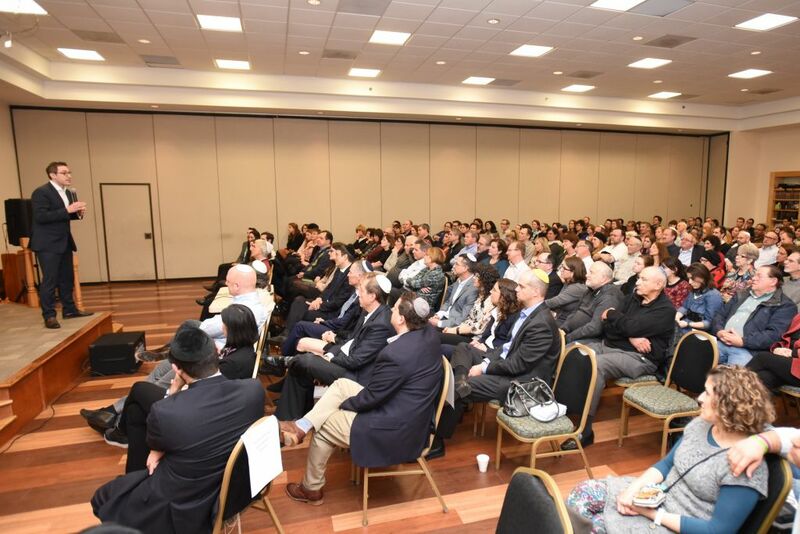 That was the topic of speaker Charlie Harary’s presentation at Congregation Ariel on Monday night, Jan. 23, at a program of organized by the Atlanta Scholars Kollel and the Jewish Women’s Connection of Atlanta. Harary is a lawyer who got involved with real estate in New York, then helped found a venture capital firm, H3 & Co. He is a social entrepreneur and teaches about personal achievement and organizational excellence as a clinical professor of management and entrepreneurship at Yeshiva University’s Syms School of Business. In presentations to businesses and through a range of mass media, Harary has established a record of inspiring people from all backgrounds. He also leads the Momentum men’s trips to Israel, a program of the Jewish Women’s Renaissance Project in partnership with the kollel. His appearance Jan. 23 began with a video featuring highlights from a Momentum trip. A vital component for success in life is the first C, communication. While many people think the most important aspect of communication is to get a message across, Harary said it is even more important to accurately receive the messages conveyed by others — in other words, to be a good listener. In his trademark dynamic, entertaining and poignant style, Harary explained that any successful relationship depends on learning to speak the other’s language, whether it’s the relationship between spouses, between a boss and an employee, between a parent and a child, or between humans and G-d.
Harary said that while we are devoid of open miracles today, we can perceive G-d’s messages to us in the form of coincidence, the little things that go our way. Every person should believe he or she is worthy of divine care and has a path to greatness. Just as parents know that their children’s biggest failure is when they think little of themselves, our success depends on believing we are worth it.